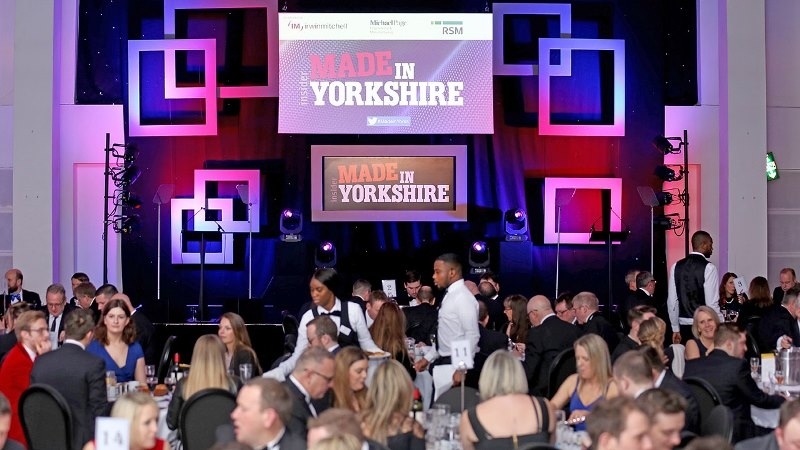 The dinner on 7 March 2019 at the Hilton City Hotel in Leeds is the biggest manufacturing awards dinner in Yorkshire and features a cross-section of companies of all sizes and from many different sectors. Specialised Covers was founded in 1981 here in Yorkshire, by Doug and Carole Long. Despite growing in size and reach, we're proud to say we're still a family run business with Katie Fishwick, Doug and Carole's daughter, Managing Director, and feet that are still firmly based on Bradford soil. Design and manufacturing are at the heart of what we do and that will not change. It's an honour for our hard work to be recognised; Yorkshire and Manufacturing go hand in hand and we're proud to be a part of that industry. As we continue to expand as a company, investing in people and equipment, we work very hard to ensure our products and service are something to be proud of, with quality remaining our core focus. The awards are also part of the wider 'Made in the UK' series, with winners from each regional category going on to compete against those from other regions across Britain at the Made in the UK Awards in Liverpool. To read more about the awards, click here: https://www.insidermedia.com/insider/yorkshire/manufacturers-go-head-to-head. We'll update you on the night, so in the meantime, wish us luck!